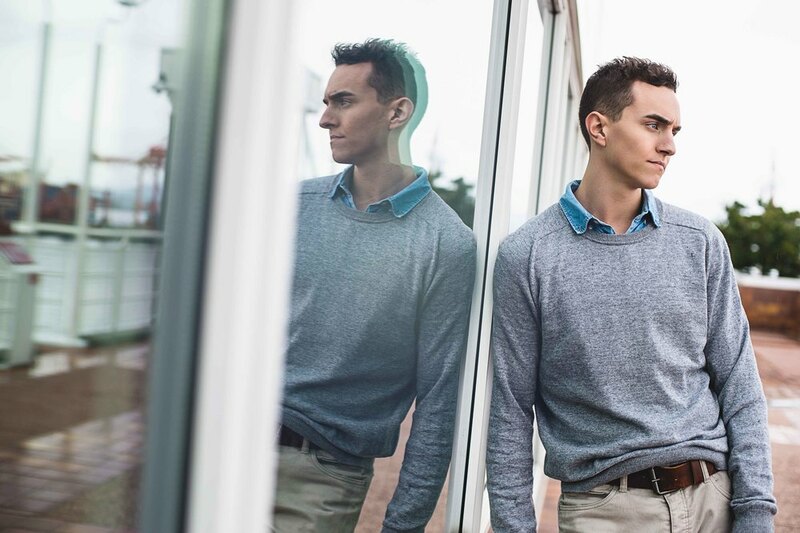 Besides wedding photography, I also do some commercial and fashion work on the off season, and I recently just photographed a male model - Catlin from Charles Stuart International Modeling and our fabulous stylist and make-up artist Kerry. She styled Catlin with H&M new spring outfit, a well-tailored suit is a staple for any man's wardrobe. "For a casual look, try pairing the blazer with a loose-fit tee or rolled-up pants." said Kerry. A big thanks to Pan Pacific Hotel and Restores and Canada Place for letting us using the location.